Thailand is a major user and also a major manufacturer of electrical components. Some specialized electrical and electronic components are still imported, however the majority of electrical parts are now produced in Thai electrical component factories in for domestic use, for use in electrical and electronic equipment destined for the home market or for export. 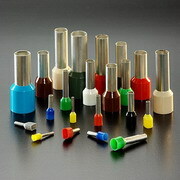 They can be exported in component form and used for assembly of electrical and electronic products abroad. In Thailand there are hundreds of large and small companies producing and trading in components used in the electrical and electronics industry. If you require only a small number of electrical components it is best to contact an electrical trading company. They usually have lists of their components available on their websites or these catalogs can be obtained by fax or email. Bangkok Companies is a full service product sourcing company in Thailand. For All your electrical component needs please email bangkokcompanies@gmail.com with your requests. 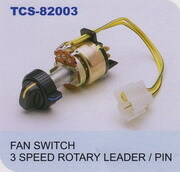 We will then source the electrical item for you and arrange for prompt shipment. Thai Car Show Automotive Products Co.,Ltd Thailand Thailand manufacturer of Wiring Harnesses, Automotive Electrical Components and Starter Cable Sets for the Automotive Industry.